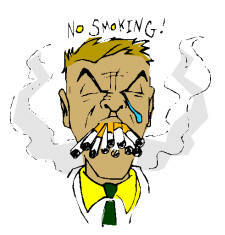 Plus, many people find the smell of smoke offensive, and will often refuse to patronize businesses who allow smokers. And any non-smoker will tell you that smoke-free sections in bars, restaurants, casinos, bingo halls and offices are NEVER smoke free. Smoke odors, chemicals and fumes have a way of traveling to every nook and cranny, highly offending most non-smokers. We have several air purifier models that are effective in purifying the air of smoke, each being best suited for specific environments. The following technologies work well with a single smoker who smokes up to two packs a day or for two people who smoke a pack a day each, assuming all smoking per day is not done at the same location. These models also work well for people who do not smoke, but have neighbors, friends or family who do. The following air purifiers are designed for commercial odor problems that are found in smoky bars and restaurants, bingo parlours, cigar rooms, smoking sections in offices, etc. It's no mystery that the air inside our homes, offices and nearly every building we enter is contaminated with toxic air pollution problems. But wading through the plethora of air purification technologies and models to make our living and working space free of pollution can be a daunting task, especially with the misinformation presented by so many salespeople and web sites. There are many different air purification technologies and air filters on the market, but no one air purifier technology can solve every air pollution problem, which is why we carry different brands. For help determining which air purifier is right for you, click on one of the below links or call us toll free at 866-875-4386 (US and Canada).